Now that ‘Love’ has become a formality. Well, There was a time when Love meant just more than a word. When it was considered a sacred symbol of happiness and serenity. “Such a lovely person, he is.” was once the best compliment one could get. Love was also among the truest emotions for which one could abide by and even make the farthermost decision, meaning life and death. I wonder when time passed by and love lost its meaning. Present day scenario shows complete contradiction to the meaning of love. Parallel changes can be seen now, quotes which were once like “It feels heaven on earth when you fall in love.” now have become “If your heart pains, your lungs feel an awkward suffocation and your instincts make you believe you’re alone. Its not depression,its the disease called love.”People say that with time definition of things might change but the meaning will always remain the same. Then what should I say? Is the case with Love different? Oh! no. Forget it what people say that’s because they’re humans, animals with no hearts,diplomacy in blood,greed in their souls,hypocrisy in minds and lies on tip of their tongues. They say what makes things easy for them without bothering for others’ discomfort. I’m ashamed being one of them. Moreover, I hold none other than us responsible for this version of love. We humans have made Love such a plaything. A kid who is brought up by his parents with whole care and affection doesn’t hesitate in leaving them behind all by themselves when he grows up into a successful man. Yeah! I get it. ‘Successful’ does that kinda pinched you? well, it shouldn’t as I believe that’s nothing uncommon. Successful man means a person with all comforts and luxuries, let’s not go round and round. 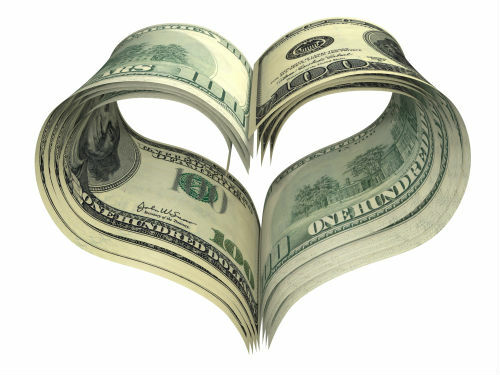 ‘Money’ that’s the epicenter of all this and it has played an important supporting role in bringing this edition of love. People say”Money can buy anything but not Love.”That’s true with the true form of love but with the new version of Love, it’s totally absurd. Why? Don’t you see it, people say so that is why. Again the same humans you see, changing as per the situation. Although clarifying the fact, you see around and take a look ,behind whom does the parents run to make a match with their daughter? Exactly a successful and rich groom who can provide all comforts and fulfill all the desires of their daughter. Marriage is a beginning of a bond that is created between two loved ones but now people seem to make a deal of exchanging comforts and call it a marriage. I’m not surprised cause when two people engaged in a relationship don’t realize the meaning of love, then marriage is a worthless tradition performed to finalize an agreement to the deal. Why just have it till the marriage? The lower age group, I mean the Teenagers have their different concept of love. They are the ones who advertise Love the most. Teenagers show that their love carries truthfulness and sacrifice. But you know,they just show. As like, A boy and a girl get into a relationship. Things are going smooth initially, down a stage they get into a reason less fight, then patch up for a while and again a fight with that they recall the earlier fight and as a result Break up! It takes them hardly a month or two and their love is dead for each other. Amateurs so they’re called. We always have high expectations from the youth but they themselves seem to be the victims of this misconception, now referred as Love. I feel Love has replaced the literal meaning of ‘Like’. As in general, If you like something means you feel good looking at it or if its some eatable then you feel good eating it. Now a days the word ‘love’ has come to this common usage. Now that passion, that thrill, that addiction all stand valueless whenever I hear this word as the Love I know no more exists. Love which was once used as an expression to bring out Happiness, Now has become just a mere formality received by a fake smile.